CEO Rick Anderson describes a typical Smart Choice location as a "white box with a million-dollar baby"—the MRI scanner—"next to a Starbucks." More and more medical procedures are moving to the strip mall, thanks to high-deductible insurance plans that are turning patients into penny-pinchers. Hospital systems like Edward-Elmhurst Health are reacting, hedging their bets on what have been lucrative captive practices. Last year it invested $7 million in an outpatient MRI provider that is now poised to grow with backing from another hospital system. Look for the trend to expand beyond urgent care clinics and medical imaging to storefronts providing colonoscopies, knee and hip replacements, and other delicate procedures, including even childbirth. The rise of strip mall healthcare presages a "fundamental shift toward more transparent, market-driven pricing" and changes in hospital capital allocation, says healthcare industry consultant David Johnson in Chicago. "What's happening in the private market will ultimately reshape healthcare more than government reimbursements." 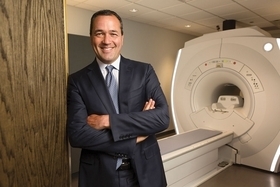 Rick Anderson, CEO of Smart Choice MRI, which has a handful of Chicago-area locations and a $600 maximum fee, describes a typical 1,500-square-foot location as a "white box with a million-dollar baby"—the scanning machine—"next to a Starbucks." The doctor-patient relationship traditionally avoided any kind of price shopping. But high out-of-pocket charges for healthcare, internet-empowered consumers who can easily compare prices and doctor ratings, and medical offices popping up like mattress stores are changing that. Last month, the CMS said it's considering paying for joint replacements in outpatient settings, which would encourage private payers to do the same. Between 25% and 50% of joint replacements could be done on an outpatient basis, according to the Ambulatory Surgery Center Association. The first free-standing birth center in Illinois opened in Berwyn in 2014. The state's second is in Bloomington. On its website, the American Association of Birth Centers lists more than a dozen others in Indiana, Wisconsin and other Midwest states. For now, hospitals, which charge an average $2,600 for an MRI, seem sanguine about this new competition. But they shouldn't be, says Dr. Joel Shalowitz, a professor at Northwestern University's Feinberg School of Medicine who also teaches at the Kellogg School of Management. "If they're not running at reasonable capacity, it's a huge threat," he says. Edward-Elmhurst, a three-hospital system based in Naperville, has been investing in ambulatory care, such as surgery centers, ambulance services and walk-in clinics (at Jewel-Osco), for more than 20 years, says Annette Kenney, chief strategy and marketing officer. "There's a role for both (hospital and non-hospital services). We haven't seen any loss of volume because of these," she says. The company is playing catchup to a couple of big national chains: Los Angeles-based RadNet has 302 imaging centers, often in strip malls on both coasts, and expects almost $1 billion in revenue this year; and Minneapolis-based CDI has 113 imaging centers in 23 states, including two in Illinois, in Geneva and Lake in the Hills. Anderson, 50, worked at his dad's North Shore electrical contracting firm before joining WebMD Health during the online publisher's early days two decades ago. In 2009, he became a senior vice president at health and wellness firm Sharecare, where he got to know hospital systems that became investor prospects for Smart Choice. He joined Smart Choice in 2014, after three co-founders granted him control to expand the business, he says. What intrigued him was a statistic showing that outpatient imaging services accounted for 37% of hospital profit. The Advisory Board, a Washington, D.C.-based health care consultancy that published the stat in 2010, says that is outdated but estimates the share is a still-robust 30%. Despite declining reimbursement rates for many procedures, the global market for MRI equipment is projected to grow by a compounded 5.1% annually through 2021, to $7.2 billion. "We have a long way to go before the payers are cutting into our model," Anderson says. Smart Choice's $600 charge is the new normal, says consultant Johnson of 4Sight Health, based in Lakeview. "I believe that in a very short period of time, prices will suddenly collapse around that price point." Storefront firms like Smart Choice don't have the full depth of hospital options, of course. But Anderson says Smart Choice can handle 94% of MRI procedures. A relationship with the Cleveland Clinic, whose pathologists analyze the scans from all locations, boosts Smart Choice's reputation and investor confidence. Kenney says Smart Choice's transparent pricing and "direct-to-consumer advocacy" also appealed to Edward-Elmhurst. Lea Halim, an Advisory Board senior consultant, says, "Hospitals are showing more interest in the ambulatory space, in part because that's where the patients want to be." Smart Choice has seven Chicago-area locations, with another due in Vernon Hills. The rest are in Wisconsin and Minnesota. The next step will be in secondary markets like Omaha, Neb., and Sioux Falls, S.D., Anderson says. But while the company wants outposts in smaller markets, Anderson says, executives decided its headquarters needed to be in a more cosmopolitan, transit-equipped city to attract talent. Anderson cites a new hire from Madison, Wis., who would not move to suburban Milwaukee. "Coming soon to a strip mall near you: An MRI provider" originally appeared in Crain's Chicago Business.